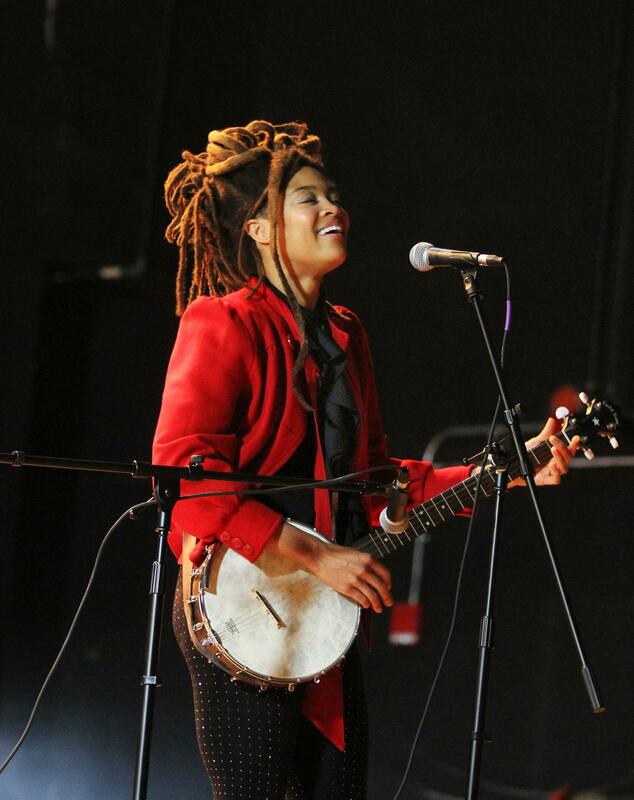 Providence Journal…Singer Valerie June was taking pictures of the classroom doors at Roger Williams Middle School on Thurbers Avenue on Monday morning. “This is so cool,” she said. The doors were decorated with photos, drawings, paintings and messages welcoming June, who visited the school as part of a national program called Turnaround Arts, which is dedicated to creating innovative arts programs in about 70 schools across the country. Along with materials, training and resources, Turnaround Arts provides each school with a high-profile mentor. There are three participating schools in Providence. For DelSesto Middle School, the mentor is pop/rock musician Ben Folds. For Gilbert Stuart Middle School it’s Taboo (Jaime Luis Gomez) of the Black Eyed Peas. Roger Williams has June.